Brazilian Heavy Metal Band formed in 2009. 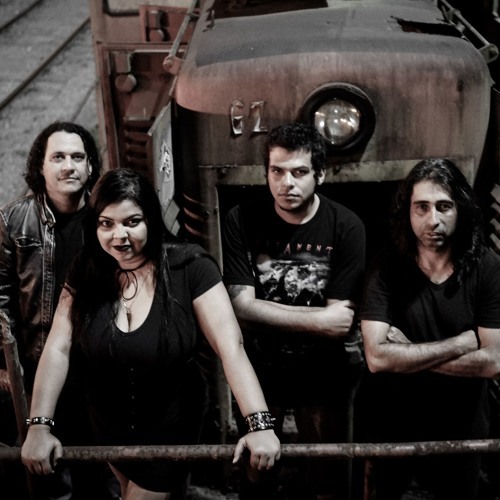 Priscila Soares - Vocals Marcelo Figueiredo - Guitars Allan Petersen - Bass Márcio Leite - Drums The name "Depth Hate" is an emphatic reference of our feelings and opinions regarding political and governmental systems that oppress human beings worldwide. With a heavy and harmonized sound, psychedelic riffs, and lyrics that address the human behavior and various social contexts, have our influences in bands Black Sabbath, Queensryche, Dream Theater, Judas Priest, Megadeth, Jimi Hendrix and ZZ Top. Having enough songs to record two albuns, the band has been seriously working in order to record their own songs, and always seeking to play great performances whether in the studio or live.